Orange picking time in Florida. 1946. Hand-colored postcard. An aerial view of the 65-acre Citrus World processing plant in Lake Wales that was constructed, in part, by German POWs during WWII, and continues to produce juice today. Ben Hill Griffin III, leafs through family photo albums that document his family's four generations of growing citrus and raising cattle. A snapshot of the Griffin family packing house, undated. Winter Haven Citrus Growers Association packing house. 1937. Robert E. Dahlgren / State Archives of Florida, Florida Memory. The frantic effort to feed the troops who fought overseas in World War II led to orange juice becoming an American breakfast staple. A 1942 Army Quartermaster training film emphasizes that nutrition science is now used to plan Army meals. And that included plenty of vitamin C to prevent scurvy in both land and Naval forces. “The lack of vitamin C is a real thing especially when you’re in warfare and you might not be getting vitamin C in your regular old ration. You’re basically going to be getting calories,” said Matthew Eng, a historian who wrote an article on the Florida Citrus Commission for the U.S. Naval Historical Foundation. But the military needed a way to get vitamin C to overseas troops. Fresh fruit wasn’t an option because of shipping and spoilage. So they launched a huge effort to increase the production of a Florida beverage that wasn’t very popular at the time - canned orange juice. Ben Hill Griffin III’s family had several citrus groves in the town of Frostproof and throughout central Florida. When the war broke out, the government came calling. 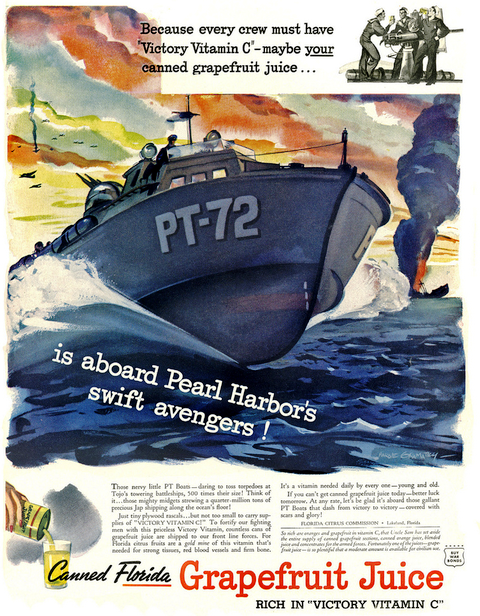 A Florida Citrus Commission magazine ad from WWII promoting their support of troops with "Victory Vitamin C" in canned grapefruit and orange juice. The military needed so much juice that Griffin and other growers expanded - planting an additional 100,000 acres in the 1940s. Then came the challenge of processing all that fruit. The federal government stepped up again. It had some of the 10,000 POWs in Florida help build a huge plant with the citrus growers’ cooperative. That 65-acre plant, Citrus World, in Lake Wales still produces orange juice today. During the war - Florida surpassed California in orange production. But the state’s real windfall came just as the war ended. The Florida Citrus Commission and the U.S. Department of Agriculture quietly worked together during the war to develop a better way to preserve orange juice. Their discovery was frozen concentrate orange juice. It didn’t come in time to be shipped to the troops, but Florida's Natural CEO Bob Behr said frozen OJ became a big hit when those veterans returned from the war and started families. 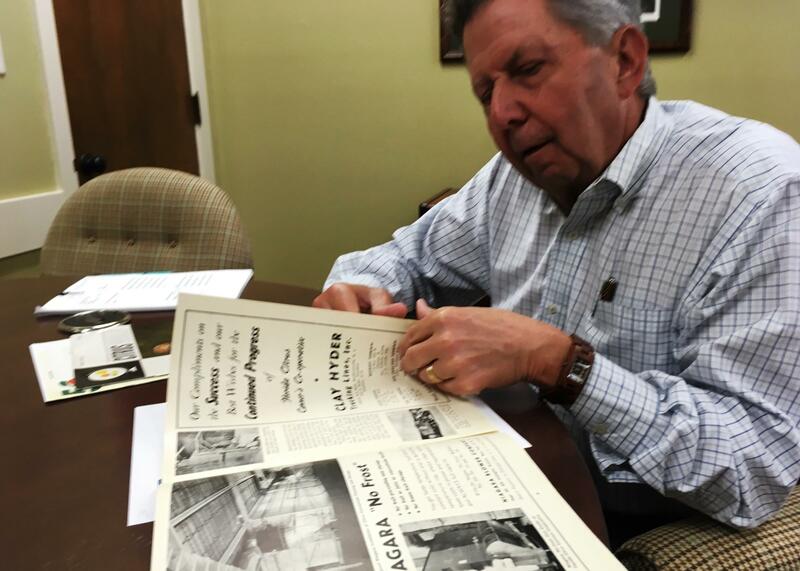 Bob Behr, CEO of Florida's Natural, leafs through historic materials that detail the role of the citrus growers' cooperative supporting troops in WWII. “We were largely a grapefruit industry prior to the 1940s,” Behr said. “It was the emergence of orange juice during the war effort and then following that with frozen concentrate that really put orange juice on the map here in this country. Before long, it was on everybody’s breakfast table,” Behr said. And the popularity of frozen OJ from Florida lasted for decades. Behr said that is until the 1980s when consumers’ tastes started to shift to the “not from concentrate” OJ that can be poured directly from the carton. There are plenty of veterans needing help with their denied VA benefits claims and a good supply of law student volunteers to help them. But what is in short supply at the Stetson Veterans Law Institute and Advocacy Clinic is space. A few years ago, the institute opened in a small home across the street from the Gulfport campus with three law students helping on cases. Now, there are 15 law students in the same cramped quarters. 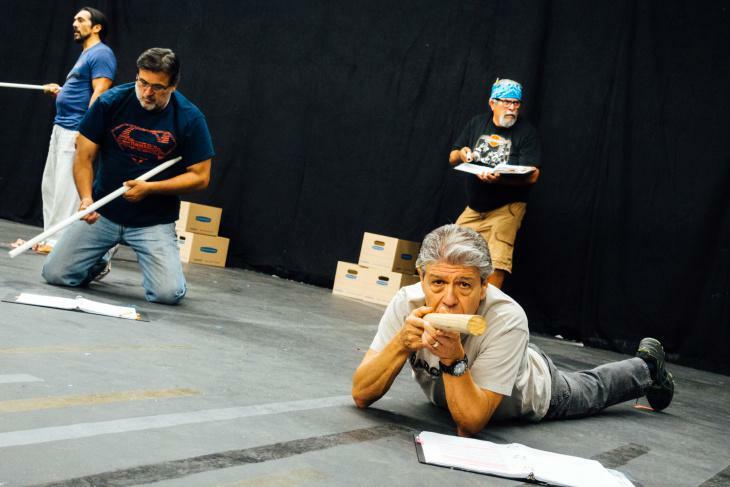 "Ring of Red: A Barrio Story" relies on oral histories to tell the rarely heard stories of Mexican-American veterans.